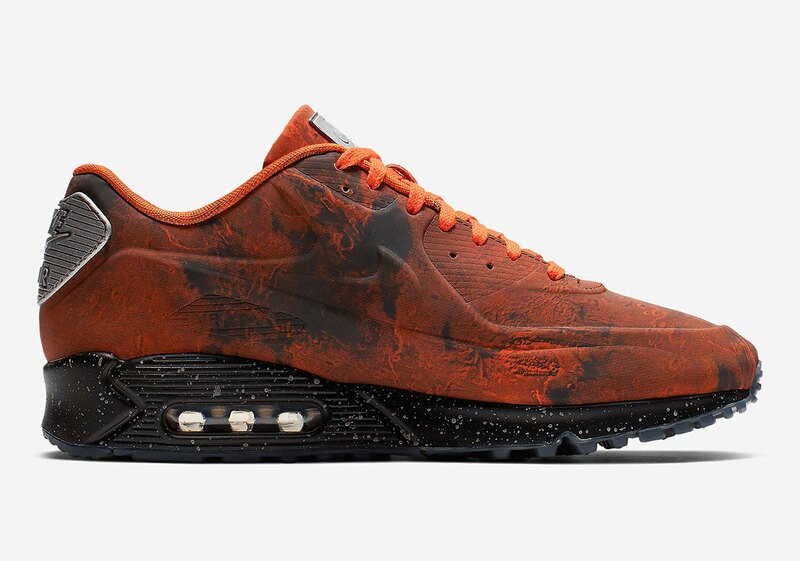 Reflective "Mars Landing" AM90 releasing at select Nike retailers tomorrow. 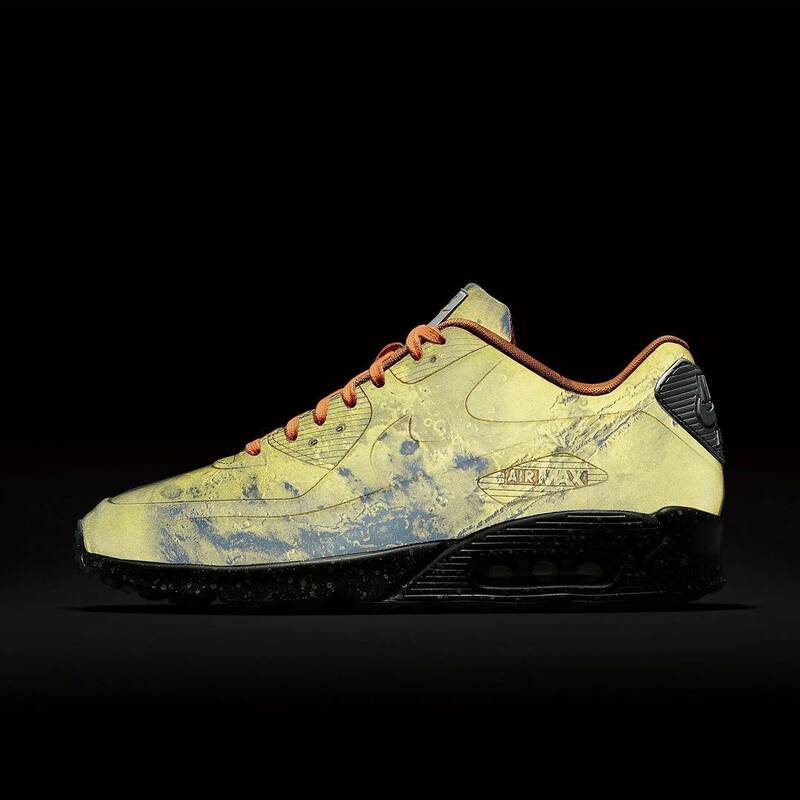 The sequel to 2014's Nike Air Max 90 "Moon Landing," a unique sneaker equipped with crater-like detailing, is officially set to launch tomorrow, March 16. 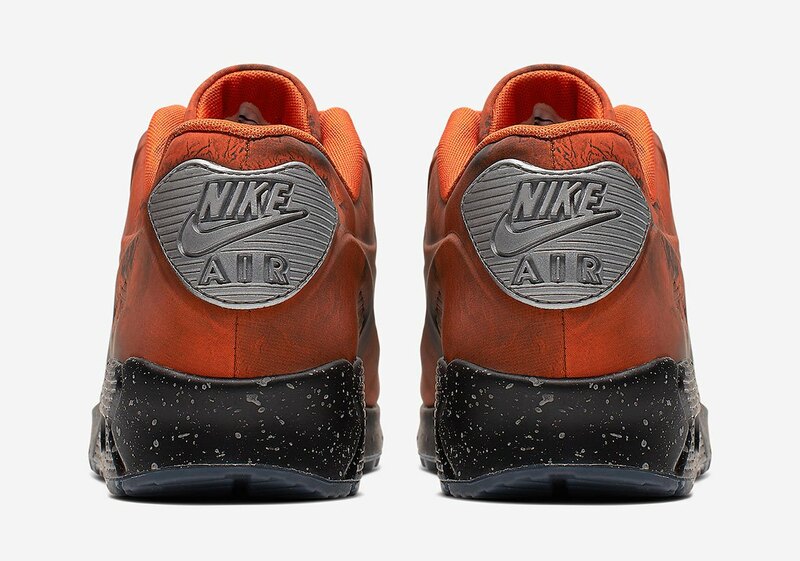 Dubbed the "Mars Landing," this upcoming Air Max 90 features a mixture of "Mars Stone" and "Magma Orange" as a nod to the Red Planet, along with reflective 3M detailing throughout the upper. 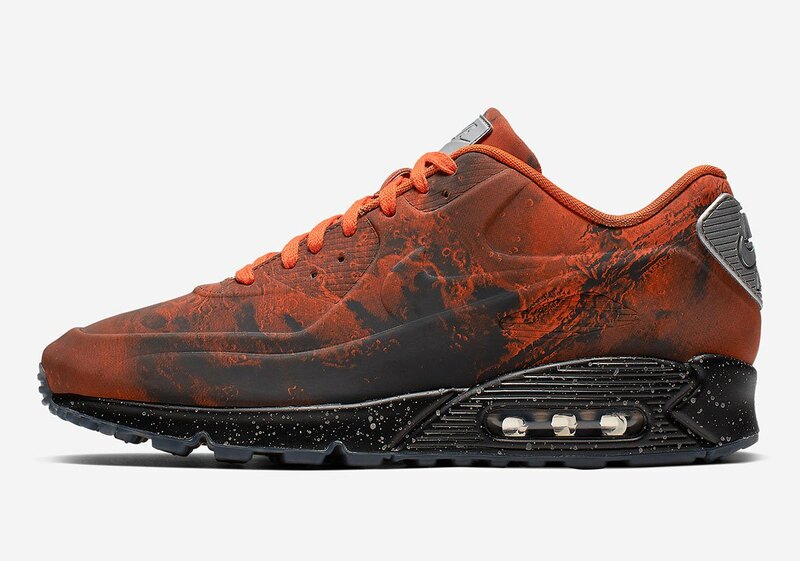 In addition to the red/orange upper, the kicks are also equipped with a gaseous graphic print throughout, which fade into a black, silver-speckled midsole. 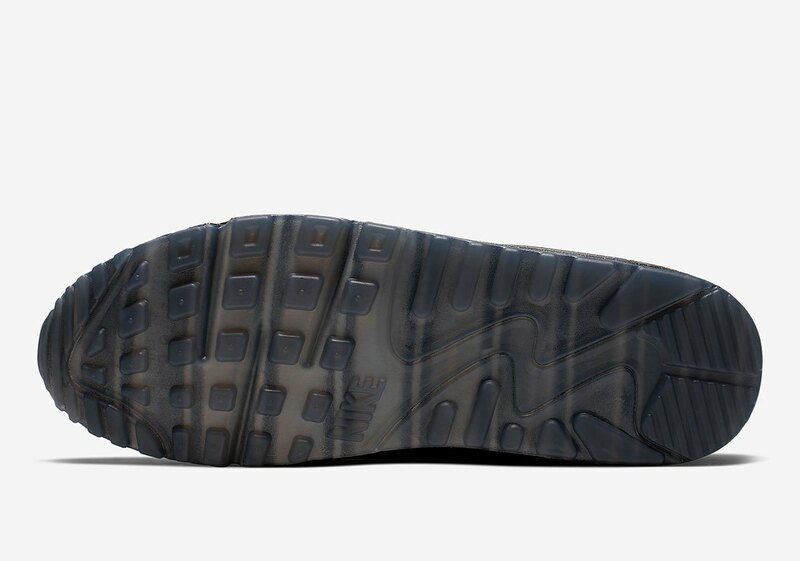 Silver Nike Air branding on the tongue and heel, specially designed insoles and a smoky outsole complete the look. 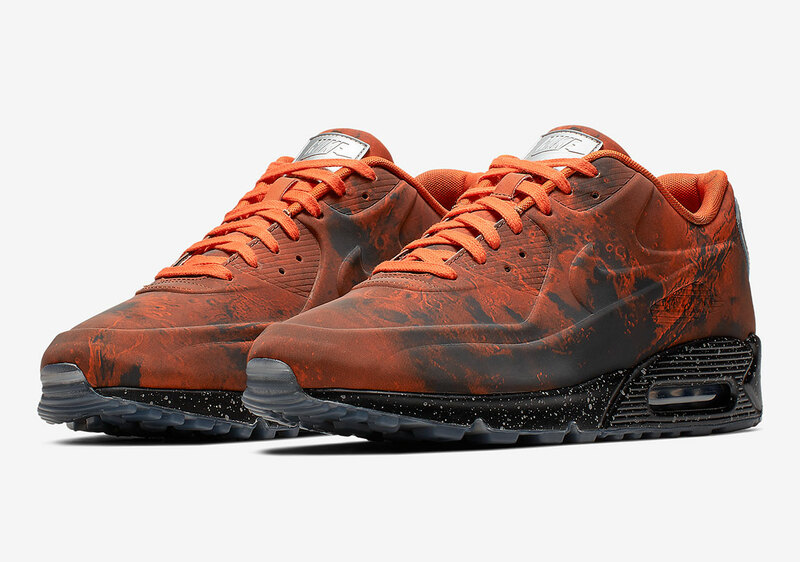 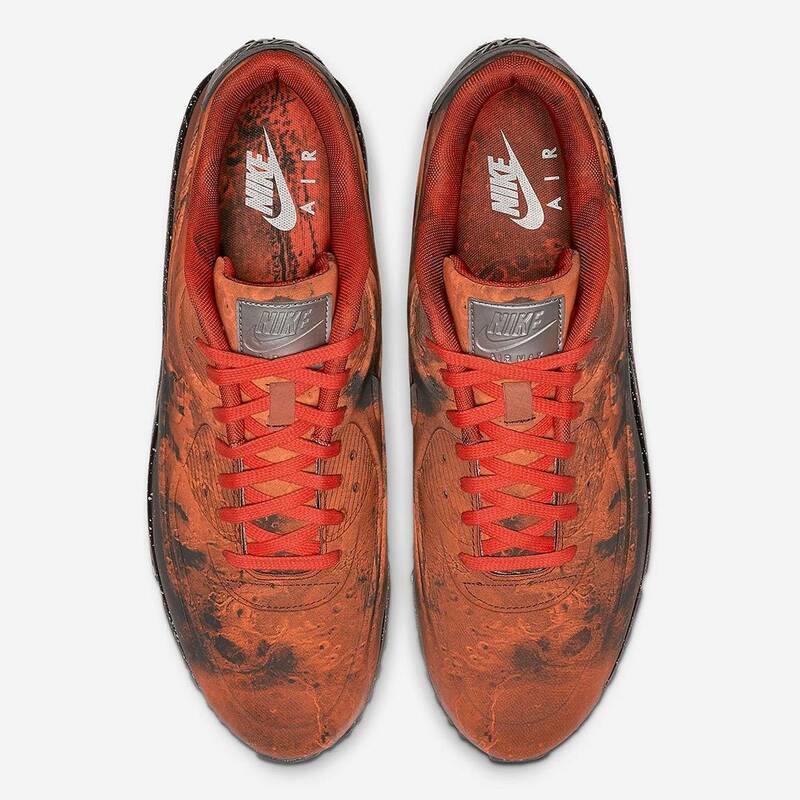 The limited edition Nike Air Max 90 "Mars Landing," priced at $160, will also be available in pre-school and toddler sizes via Nike SNKRS, as well as other select Nike retailers such as Jimmy Jazz, END., SNS, and Solebox. 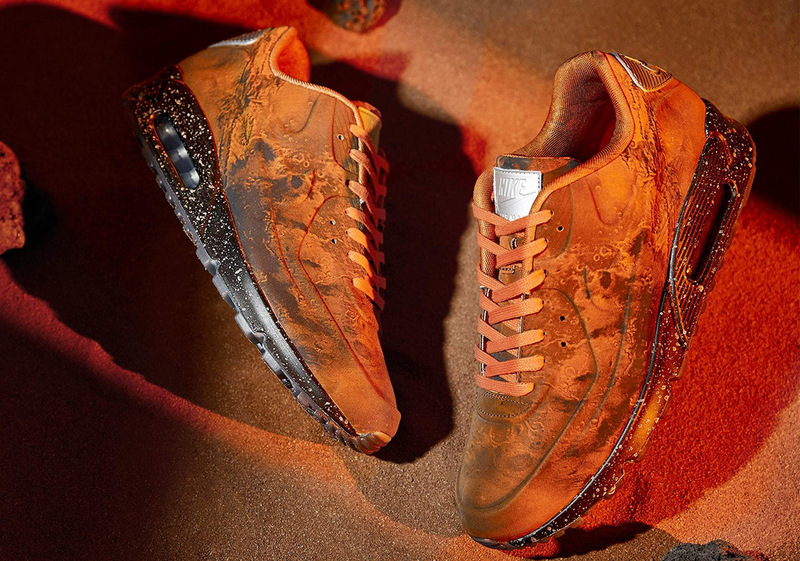 Check out some additional photos below ahead of tomorrow's release.